Small Old White Man is the Crow name for our new friend, Howard. We have had the good fortune to be parked next to him for most of the last week at our new “home”. 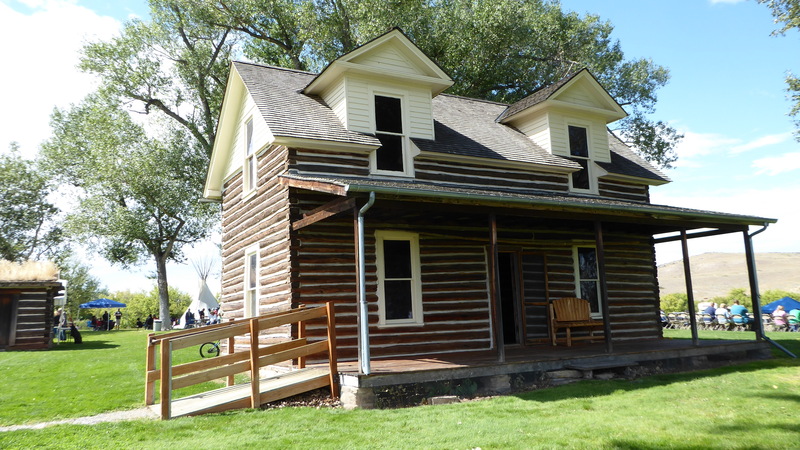 For the month of September, we are at Chief Plenty Coups State Park, on the Crow Indian Reservation, near Pryor, Montana. 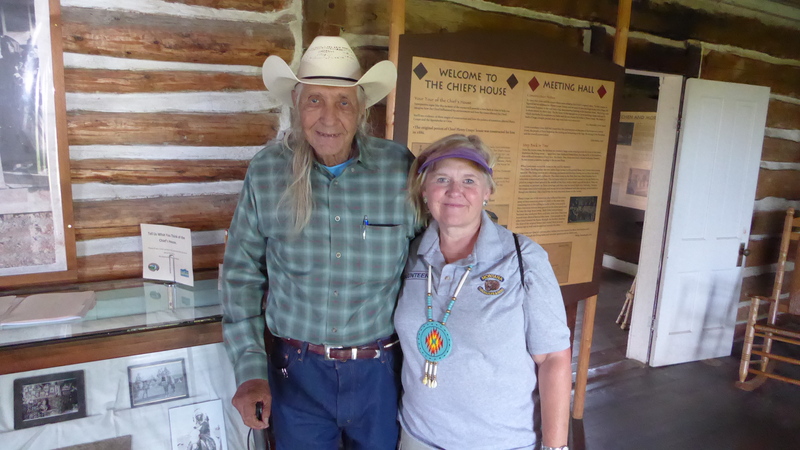 Howard is an Elder and Historian for the Crow Tribe. He has written 4 books and testified before Congress many times. With the help of Ted Kennedy, he once got legislation approved despite protests of the Montana senator. 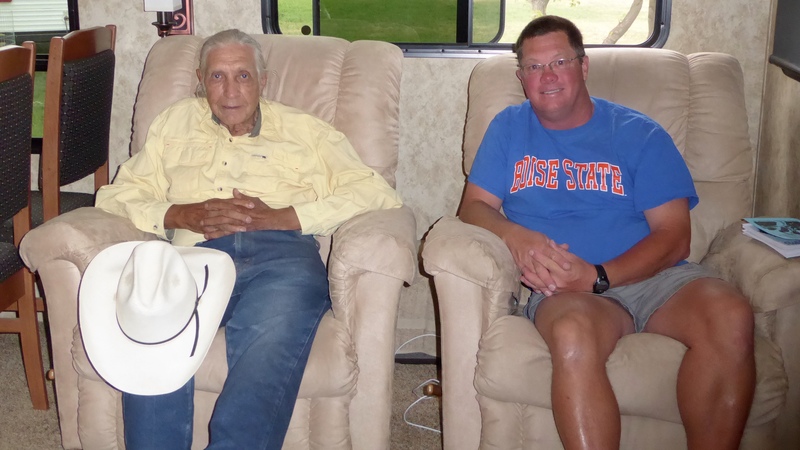 He told us some very interesting stories! Howard was very kind to spend time with us, teach us about Crow culture and answer our many questions. Here is a sampling of some of the many things we learned. Howard has been adopted several times in his life. Adoption in this culture does not remove one from their natural family, but is a way to strengthen ties between families or individuals. Howard’s father was a white man and his mother was Crow. A person’s ethnicity/tribe/clan is determined by the mother’s bloodline. Howard was given the name “Small Old White Man” by one of his adoptive fathers at the age of five or six. We asked Howard how he would describe his ethnicity. 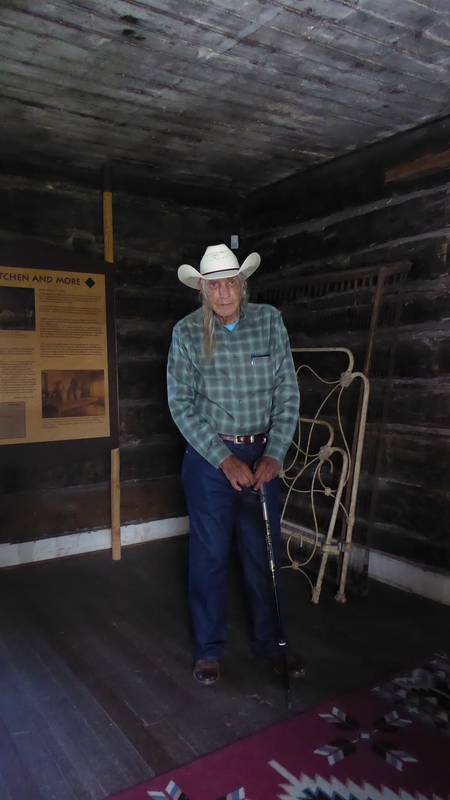 His first choice was “Crow.” In the broader sense, he prefers the term “American Indian.” When asked if he thought younger generations would also prefer American Indian over Native American, he said he thought they would. So much for our attempts to be politically sensitive! Oral histories and story telling are very important in the Crow culture. I asked Howard about exaggeration in re-telling which would seem to be a problem if a culture is trying to maintain accurate oral histories. He said that it is very important that stories and histories are told accurately and exaggeration and change are not allowed. Those that do so are spoken to and reprimanded. We also noticed very young (10-11 years old) children driving! Howard told us that driver’s licenses are not required on the reservation and, of course, these young drivers don’t have insurance. The term “uninsured and under-insured motorists” will be in the back of our minds during our travels on the Crow reservation. And why are we, and Howard, parked at Chief Plenty Coups State Park? 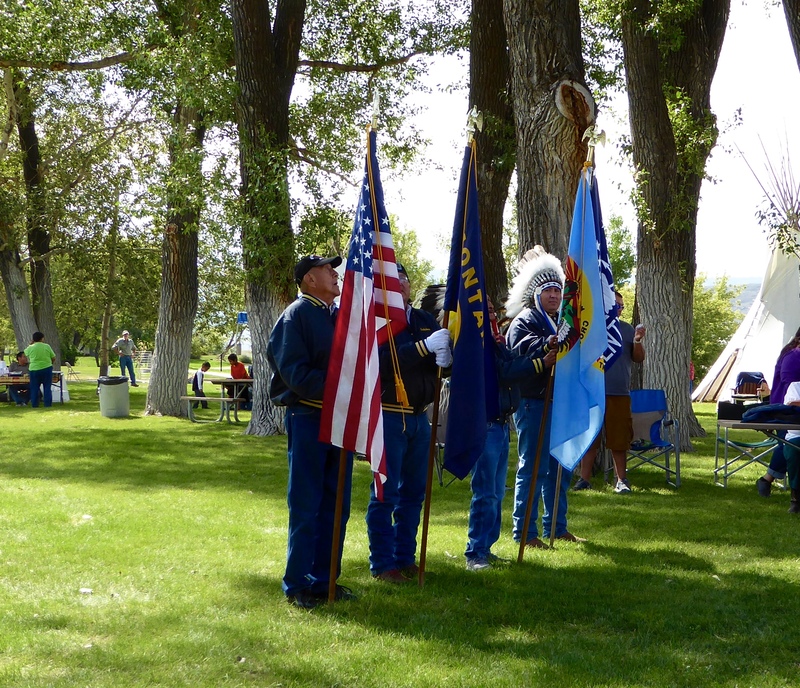 On Saturday the park hosted the annual Day of Honor celebrating Chief Plenty Coups and the history of the Crow People. 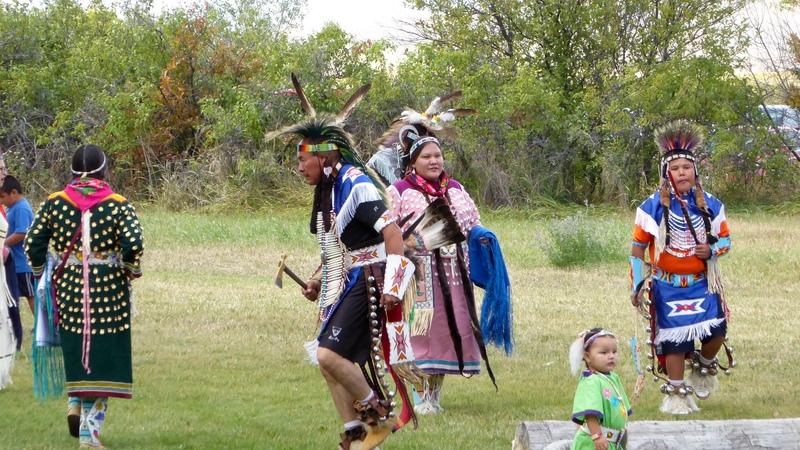 I will tell you more about Chief Plenty Coups in a later post but here are some pictures from the celebration. When I complimented Howard on his necklace, he insisted I wear it for the celebration. 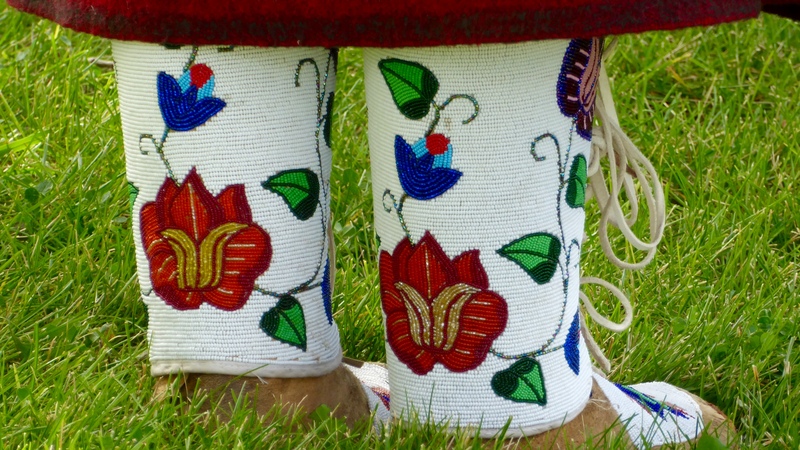 Are these great moccasins, or what? They must have millions of beads! I’ve always loved shoes! The culminating event of the Day of Honor was the buffalo feast. (Crow use the word buffalo – not bison.) Park personnel and Crow representatives killed two of the tribe’s buffalo the week before the event. We had imagined a buffalo roasting on a spit but it was not to be. In the two previous years they had prepared way too much food so this year they cut back. They slow cooked 21 buffalo roasts (80 lbs.) in the pit overnight and also had baked beans, corn, watermelon, fry bread and berry pudding. It looked yummy! For those of us who were serving, we watched the last of the food go by before we had a chance to eat. Unfortunately, no buffalo feast for us….. But, we continue to be blessed by being able to learn about people and places that would otherwise remain foreign to us. Howard, the Crow, and Chief Plenty Coups are just the latest examples. 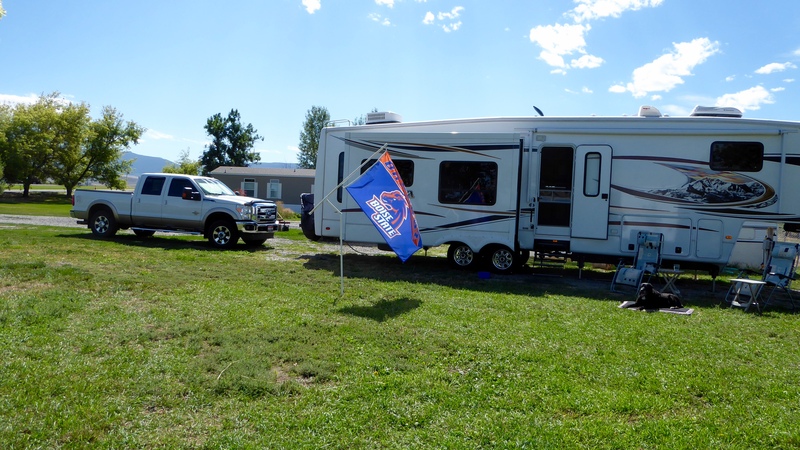 Our responsibilities for the day were complete in time to watch Boise State play (and win!) against the University of Washington and former coach, Chris Petersen. Go Broncos! Spending time with Howard was way better than eating!